Leaders of the Peoples Democratic Party (PDP) have been advised not to hope for taking over power from the All Progressives Congress (APC) in 2019. Giving the advice in this interview with TUNDE THOMAS, the Chairman, Conference of APC States’ Chairmen, and Lagos State APC Chairman, Chief Henry Ajomale, said the PDP leaders are only day dreaming if they ever think that the party can bounce back into reckoning at the national level. Ajomale also spoke on some other national issues including the recent defection of former Vice President, Atiku Abubakar, to the PDP, Tinubu’s visit to Afenifere leader in Akure, Senator Musiliu Obanikoro’s defection from PDP to APC. As the Chairman of the Conference of APC States Chairmen, what is your reaction to the defection of the former Vice-President, Atiku Abubakar, to the PDP? Atiku is a political chameleon, he is ever unpredictable. It becomes a tradition for him to be jumping from one political party to another. Atiku is not a principled politician. Nobody should take Atiku’s defection serious. It is good riddance to bad rubbish. This is about the third time Atiku would be leaving PDP and going back again to the party. He is not a serious politician. Atiku should not be deceived by political hangers-on; he must have realised the bitter truth, and the truth is that, he is politically finished. Even in his home state of Adamawa, Atiku has become a laughing stock. His defection to PDP, to us in APC, is good riddance to bad rubbish. Atiku has no political value again. He has nothing to offer again. I even pity Atiku for going back to PDP, because PDP as of today has become a divided house. By going back to PDP, Atiku is going to cause more crisis for the party. PDP is going to become more polarised with Atiku’s return to the party. Atiku has become a spent-force. I don’t think he has anything to offer anymore. Of course, yes. To be saying that, they are absolutely correct. Atiku from all intents now is being driven by personal political ambition. His being in politics from all indications and his own personal actions have shown that what is paramount to him is how to realise his personal political ambition; he has shown that he is not keen on or being driven by the urge to serve the nation, but rather it is the realisation of his own personal interests that matters to him. But the danger about the way he is playing his politics is that nobody would trust and believe him again. By going back to the PDP, Atiku has simply returned to eat his vomit. For us in APC, we don’t miss anything by Atiku’s defection to PDP. APC doesn’t feel threatened at all, it is Atiku that has become a threat only to himself. APC is not losing any sleep over Atiku’s action. We wish him good luck back in his former political party to which he has now returned. But some people have described the former VP as a political heavyweight whose departure from the APC is going to be felt, what’s your take on that? Atiku as a political heavyweight? May be before, but to describe him as a political heavyweight today is to dress Atiku in borrowed robes. Maybe around 1999 and the following years, he was a political asset, but the reality today is that Atiku has become a spent force. He is gradually going into political oblivion. With a man like President Muhammadu Buhari in the saddle, there is no way Atiku can have political relevance again. To me, Atiku is a political chameleon, he is so desperate for political power; you must be wary of such a man. I will support what former President Goodluck Jonathan said recently that if Atiku wants to realise or secure presidential ticket of PDP, that he should go and beg Obasanjo. However Obasanjo is not the only obstacle to Atiku’s ambition; if Atiku knows that his hands are clean, let him undertake a trip to the United States of America like Obasanjo has been challenging him. Atiku so far has not been able to take up the challenge. So far, so good, Buhari has been performing up to expectation, and not only that, being a man of integrity who is incorruptible, Buhari’s image and personality has been rubbing off positively on Nigeria. How can anybody think of Atiku being Nigeria’s president, a man with so many political baggages? If Atiku wants to prove to us that he is a clean man worthy of leading this nation, let him today undertake a trip to the United States. This challenge has been thrown at him on several occasions, but since he has skeletons in his cupboard, Atiku has not been able to take up the challenge. Which mass defection? Which mass defection have you seen so far? It is unfortunate that Atiku is being overrated, but sincerely speaking, I hope Atiku should know his own limits. Atiku is already politically finished; nobody is going to follow him into PDP, maybe a handful of supporters if anything at all. Do you know what is referred to as mass defection? However, let me state this clearly, because Atiku has money and what he usually does is to rent crowd, and most of these people will pretend to be his supporters after collecting money from him. Atiku has so much money that he doesn’t even know what to do with the money, and so what he usually does is this, he rents crowd to give impression that these people are his supporters, but Atiku can’t deceive anybody again, except only himself. Don’t ever judge the crowd you see with Atiku with his political popularity; the crowd you see with him are rented. By going back to PDP, some Nigerians have described Atiku as being confused, and also lacking political discipline, do you agree with that? Those saying that are absolutely correct. They are right. There was a time Atiku was quoted as saying that APC would be his last political bus stop, but what happened now? Atiku has proved that he is not a man of his words. That time he condemned the PDP, and there was no name he didn’t give PDP, but has he not eaten his own words by going back to the PDP. Honestly, I don’t understand such a man. For a man like that, I don’t have respect for him again. There was a time, that was sometime in 2011, Atiku was talking with the ACN led by Asiwaju Bola Ahmed Tinubu, and the CPC led then by General Muhammadu Buhari. The basis of these parties and their leaders talking was to form an alliance in order to face the PDP during the 2011 general elections, but to our shock, Atiku abandoned that alliance talks and returned to the PDP where he boasted to match former President Jonathan money for money in order to clinch the presidential ticket of the PDP, but in the end, Jonathan defeated him. Some people who have sympathy for Atiku have said the former VP should not be blamed for taking that decision, especially having a feeling that this may be his last time to have the opportunity to contest the presidential election. The argument is that age is not on his side anymore, what’s your take on that? 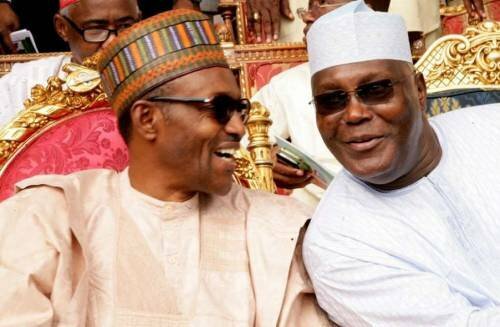 Does Atiku feel he can beat Buhari if Buhari decides to seek re-election? That would be a mere wishful thinking. But let Buhari declare his intention first. If Buhari wants to seek a second term, how can Atiku of all people think of defeating Buhari? That is nothing but day-dreaming. Atiku would be committing political suicide if he ever thinks of running against Buhari. All over the world, Buhari is widely respected. But can you say that about Atiku? Buhari can travel to any part of the world, but can Atiku do same? Nigeria is making steady progress, and also being viewed with respect in the comity of nations. But to have somebody like Atiku to be in charge of the leadership of this country will be a great setback for Nigeria. Atiku’s political coffin will be nailed if he ever tries to run against Buhari. The recent visit of Asiwaju Bola Ahmed Tinubu to Afenifere leader, Pa Reuben Fasoranti in Akure has been eliciting mixed reactions. As a close associate of Tinubu, why did the APC leader embark on that trip, because the general impression everybody has is that the relationship between Tinubu and Afenifere leaders has not been cordial. Is this trip the beginning of a good rapport between Tinubu and Afenifere leaders? Tinubu has no problem with Afenifere leaders. He regards them as his fathers. He respects them a lot. There was a time Baba Ayo Adebanjo, late Baba Olaniwun Ajayi also visited Tinubu. Tinubu is showing respect as somebody who believes in the Yoruba tradition by showing respect for leaders. Pa Fasoranti is a highly respected Yoruba leader. People should not insinuate anything extraordinary or unusual to Tinubu’s visit. It is like a son paying visit to his father. I saw Tinubu and others off at the airport when they were going, and we all collectively agreed that Tinubu should embark on the trip, which we also believe will strengthen unity among the Yoruba. With Tinubu’s visit to Pa Fasoranti, should the Yoruba now expect closer rapport between Tinubu and Afenifere leaders? Afenifere leaders are getting old, and it is obvious that they will need to groom some younger elements that will take over the baton from them. Nobody is contesting the leadership of the Yoruba with them, but they need to groom a natural leader of Tinubu’s caliber to step into their shoes, so that there won’t be a vacuum. I believe that it is time for Afenifere leaders to bring Asiwaju Tinubu close to them. The Yoruba should not experience leadership vacuum, and that’s why it is very important for Tinubu and Afenifere leaders to work closely together. Tinubu is a younger man who the Afenifere leaders need to be very close to them in order to learn from them what the future holds in stock for the Yoruba race. A closer rapport between Tinubu and Afenifere will be the interest of Yoruba race. Asiwaju Tinubu perfectly fits into the shoes of a Yoruba leader who will continue to fight for the Yoruba interests within the larger Nigeria. Who initiated the visit, Tinubu or Afenifere leaders? There is nothing like who took the initiative or not; if Asiwaju Tinubu decides to visit his fathers, is there anything wrong with that? No. There was a time we all used to converge at Owo, the birthplace of late Papa Adekunle Ajasin. Our convergence there didn’t have any political coloration as what we usually discussed had to do with the Yoruba interests. Tinubu’s visit to Pa Fasoranti is a sign of good things to come for the Yoruba nation. Tinubu is still going to visit other prominent Yoruba leaders including traditional rulers. What’s your reaction to the recent formal defection of former Minister of State for Defence, Senator Musiliu Obanikoro back to theAPC? Obanikoro has always been one of us until he took that decision to join the PDP. But all along, I knew that Obanikoro is a prodigal son who will one day return to the fold. We started AD together. We were also together in the cabinet of Asiwaju Bola Ahmed Tinubu. He was also elected into the Senate on the platform of AD. With Obanikoro’s defection, the PDP is finally dead in Lagos. Nobody is going to hear anything about PDP again in Lagos. My good friend that I’m now waiting to receive in APC is Chief Bode George. I’m very optimistic that George will soon be part of us in APC. PDP has nothing to offer Bode George. By now, Bode George ,with the way PDP is treating him, should have realised that the PDP is not a party he can trust. See how the PDP members are sabotaging his efforts to become the party’s new national chairman. PDP is a party you can’t trust and that’s why we thank God that APC was able to bring to an end the PDP’s 16 years of bad leadership at the national level. Initially, PDP ceded the position of national chairman to the Southwest, but suddenly they have changed the rule, and what the party is now saying is that the position has been zoned to the entire South. But the game plan by some leaders of PDP was to ensure that Uche Secondus emerged as the new national chairman of the party. I’m very sure that Bode George’s eyes would have been opened now. My advice to him is that being a Lagosian, he should join APC, he should team up with us in APC so that he can also be part of the success story that APC has been in Lagos State. I’m waiting to hand over APC flag to Bode George. There is nothing again in PDP for him. PDP is a party of manipulators and deceitful men. Bode George has been betrayed by the PDP. If he continues to remain as a PDP member, he will become politically irrelevant. How would you react to the claims by some Nigerians that APC and PDP are the same, that you can hardly differentiate between the two? That’s an insult. A very big insult. How can you compare APC with PDP. It is like comparing light with darkness. APC is light while PDP is darkness, and that’s why Nigerians use their voting power to get rid of the party in 2015. By the time PDP was voted out of office, the party has become a big burden on Nigerians. In actual fact, Nigeria would have become a failed state under the administration of former President Goodluck Jonathan. Now look at the transformations that have been steadily taking place under the APC leadership. It is no longer business as usual. The era of impunity, which was one of the hallmarks of PDP’s government is also over. Unlike the ‘ungolden’ era of PDP when looters were having a field day, now it is no longer business as usual. Although some may be complaining about some hardship, APC is trying its best to overcome this challenge. Some of the steps being taken may be gradual, but surely the positive impacts of APC government is being felt all over the place. PDP has gone into political oblivion. The party will never rise again. PDP brought pains, misery and poverty upon Nigerians but, APC is taking steps to ensure that things are getting better as soon as possible. As for 2019 general elections, I have been reading some PDP chieftains boasting that PDP will bounce back into power. What a dream. What wishful thinking. These PDP leaders are suffering from political hallucination. Nigerians will never vote PDP into office again. I don’t see any reason for any controversy. So far, Mr President has not come out to make a categorical statement on the issue. The ball is in Buhari’s court, let’s wait for the President to speak on the issue. If Buhari decides to seek reelection, it is his constitutional right to do so, but like I said earlier, let Buhari make his intention known first instead of people speculating.